Year-to-date, the stock market has experienced significant sector dispersion. During the correction, as usual, almost everything dropped together. Since then, however, there has been a clear market preference toward growth stocks and away from income stocks. 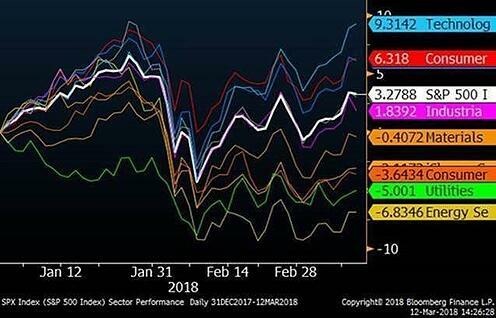 As you can see from the chart below, only technology, consumer discretionary and financial sectors have outperformed the S&P 500 and dividend-heavy sectors have generally performed poorly. It is no coincidence that interest rates and the expectation for higher interest rates has risen during this period. Even through the correction, most fixed-income investments are down this year, so portfolios designed to be safer and less volatile have been weak this year. If interest rates continue higher, is it possible that bonds and high-dividend paying stocks will not be the safe havens they have been in the past? 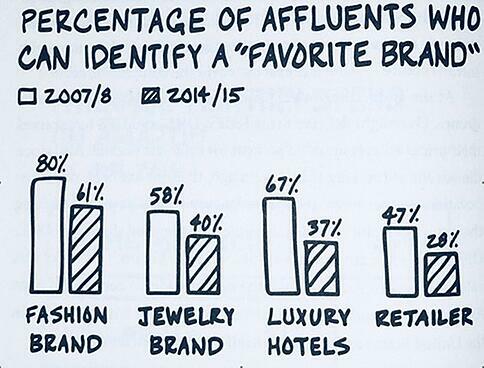 One of the changes in consumer behavior is that brand loyalty is waning. The illustration below from Scott Galloway’s book, “The Four”, shows how dramatic some of these changes have been in just a few years. 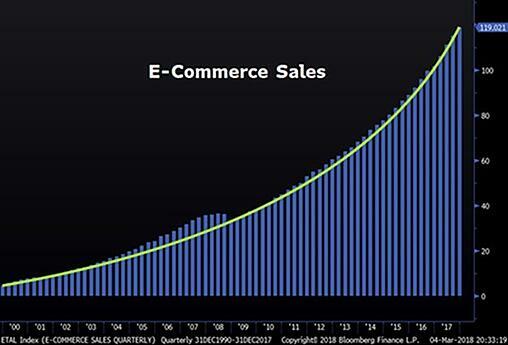 I expect this to be the “new normal” for many product categories, which will have implications for some of the traditional brand incumbents. There will be exceptions like Apple and Tesla, of course.